What is a Structural Goal Post? The Ultraframe structural goal post is an innovative technological system that works in tandem with the Ultrasky roof. The purpose of the goal post is to alleviate undue pressure on your doors and large expanses of glass, meaning you can have larger spans of doors without inserting support posts in the middle. Its frame is hidden from view inside our Ultrasky roof, resulting in enviable sightlines, enabling to open the doors for the whole width of the extension, while also maximising light penetration. The frame is light in weight. This means it's easy for installers to manipulate the product while on site, therein streamlining the speed of work on-site significantly. To maximise the impact of your structure, the goal post can be hidden within super insulated columns or brick piers. To understand the benefits of the structural goal post, it’s important to know how the Ultrasky roof system works – as these two pieces of technology work in close partnership. 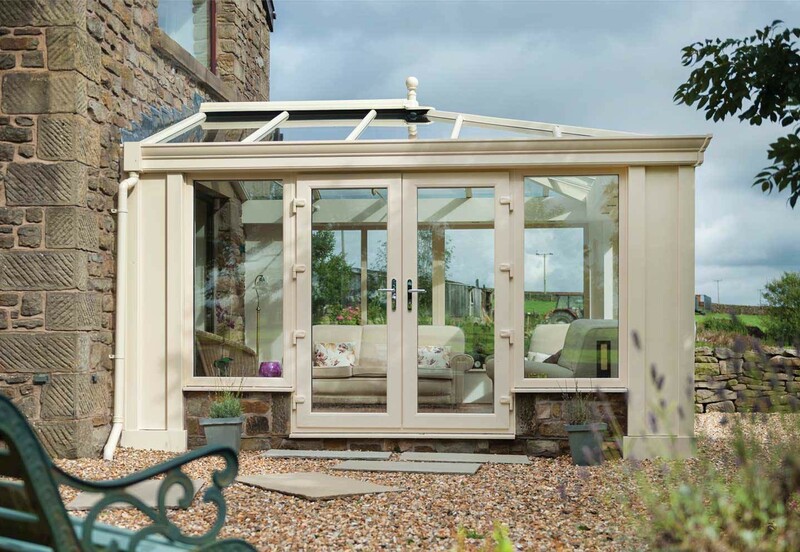 From a design perspective, Ultrasky communicates contemporary charm and presence to deliver an orangery room that is truly exceptional. The Ultrasky roof system has been designed specifically to accommodate builds of scale and is compatible with structures up to 8.5m by 5.6m in width. The structurally robust ridges and bars provide superb strength and work to maximise light entry. Decorative cornices are used to hide guttering and improve sightlines. How does the Ultrasky Roof system work with the goal post? A total unsupported span of 6m is achievable when you choose to install an Ultrasky Roof (including the structural goalpost) with sliding or bi-fold doors. This means that you will also benefit from a wide access point that allows easy access, while also introducing plenty of light and ventilation into your room. The structural goal post can accommodate wide-span of bi-fold or sliding doors. This design of door brings with it a range of welcome benefits. For example, bi-folds can be extended to almost threshold length. A wide aperture is immediately created that allows fluid access into and out of the nominated space, making it perfect for gatherings. Bi-fold doors feature a lower frame-to-glass ratio, especially if you’ve opted for an aluminium design to match your Ultrasky roof. Stunning views of the outside will be created by your new doors, even when they’re closed during colder weather, which offers a seamless connection to your garden. 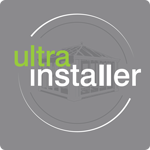 Let in the light and connect your spaces with an Ultrasky roof for your conservatory, orangery or extension. Make sure you stay warm and comfortable in the colder winter months.